ALL PACK Engineer is the leading manufacturer of Automatic Mineral water bottling machine, Bottle Filling Machine, Packaged Drinking Water Bottling Plant, Mineral water Bottling Machine, Single head Jar Washing filling and capping machine, Automatic 240 Jar per hour rinsing filling and capping machine, Automatic Bottle Filling Machine, Automatic Jar Filling Capping Machine, 24 BPM Bottle Fiiling Machine, Mineral water Bottle filling machine, Water Bottle Packing Machine Etc. We customized machine as per customer requirement according customer products. We are the manufacturer of Water bottle packing machine which is perfect for mineral water filling for 200 ml to 2000 ml in same machine. This machine is complete with infeed air convert, out feed slate convert and labeling. we “Allpack Engineers.”, are known as reputed manufacturer, trader and exporter of the finest quality Water bottle packing machine RO System, RO Plant, DM Plant, etc. We are providing the RO Plant Maintenance Service to our customers. Our organization is managed by our Mentor “Ajay Dubey (Managing Director)”. His rich industry experience helps us to meet the demands of our clients. We export our products to Bangladesh, South Africa. 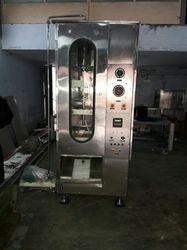 Mineral Water Filling Machine is used to pack the bottles 200ml, 500ml, 1000ml and 2 Liters in one machine. We are giving one year replacement guarantee on this machine. We are providing different models in this kind of machines. Machine is suitable for filling 200 ml to 2000 ml water bottle with change parts.With rich industry knowledge, we are highly influential in presenting a premium quality Packaged Drinking Water Bottling Plant to compete with exact requirements of our clients. 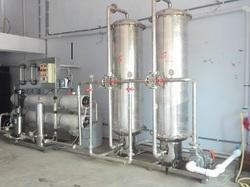 This bottling plant is used in numerous industries for solving drinking water issues. Due to the easy installation, our Packaged Drinking Water Bottling Plant is well known among our vast range of clients from across the country. Moreover, customers can purchase this plant from us at affordable prices within predefined time frame. 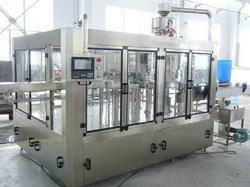 Pet Bottle Filling Machine is used to fill mineral water and other juice in pet bottles. 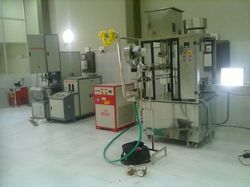 we are providing in different model like 24 BPM, 40, 60,and 90 Bottles per minute. 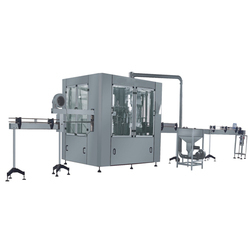 we Allpack Engineers have gained recognition as the leading manufacturer, exporter and service provider of a quality assured range of Jar Filling Machine, Cup Filling Machine, Bottle Filling Machine, Labelling Machines, etc. The offered range is made by our capable experts using the high quality raw material and leading-edge technology in order to meet the industrial quality parameters. Our products are also made obtainable in various specifications as per the application precise requirements of our customers. We are offering Pet Bottle Filling Machine. Allpack Engineers offer a range of Bottle Making Machine that are precision engineered to meet the international quality standards. Our range of machines are widely known for their compact size, low power consumption, low investment cost, simple structure and are also convenient to maintain. These machines are used to manufacture handy water bottles in uniform thickness and sizes. 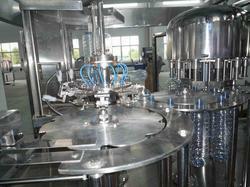 We provide Bottle making machine in both automatic and semi automatic functions. 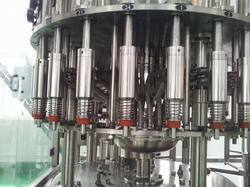 Packaging Details: This machine is suitable to make 200 ML to 2000 ML bottles.Packing and forwording charges will be extra for this machine. Allpack Engineers is offering Mineral Water Bottling Machine to our clients.With an outstanding hold of our brilliant professionals, we are occupied in offering a wide range of Mineral Water Bottling Machine to our clients. 250 ml to 2000 ml water is treated, filled, sealed or capped with the capacity of at least 60 units per min is remarkable. The project report of the machine has come up from some of the clients to us with huge surprises. Clients not only have established the ground-breaking solution of production line, but also have customary the incredible specifications and hold up provided with the offered machine. 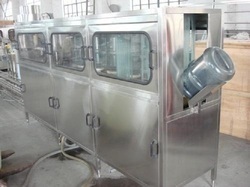 Single head jar washing filling capping machine have a three stage washing 2 stage filling and single stage cap pushing. Single head jar washing filling capping machine speed is 100 jar per hour. The offered washing machine is ensures perfect capability to fill lotions, pastes & balms. This washing machine is developed in adherence to the quality standards by using quality material & advance techniques. Also, our quality controllers check this washing machine at various quality parameters to assure a flawless dispatch. Automatic 240 Jar Per Hour Rinsing Filling Capping Machine is widely use in packaged drinking water industries. 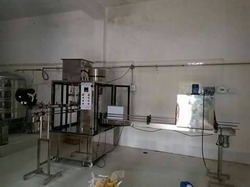 Automatic jar washing filling capping machine speed is 100 to 120 jar per hour We are the leading and most reputed Mineral water plant manufacturer and supplier. We as a renowned packaged drinking water plant manufacturer and supplier also manufacture and supply Automatic Bottle filling machines, Automatic Pouch packing machines, Automatic 20 Liter Jar washing machines, Blow Moulding machines, Laboratory with ISI consultancy service. We are the largest Mineral water plant and Packaged drinking water plant manufacturer and supplier in INDIA. Allpack Engineers is offering Automatic Bottle Filling Machine to our clients for filling any free flow liquid like mineral water, Juice etc in Automatic Bottle Filling Machine. The machine has fully automatic Rinsing, Filling, Capping operations. All Pack Engineers is leading manufacturer of Bottle Filling and Sealing Machine in Ahmedabad Gujarat with one year replacement warranty. Counted amongst the leading entities of this domain, we are affianced in offering Semi Automatic Bottle Filling Machine to our clients. . Being the quality-centric entity, our professionals equip optimum technology and techniques in the processing to the plants. Clients need to install the plant can get at affordable rates. Bestowed with an ingenious team of designers and advanced production unit, we have able to introduce an exclusive range of Automatic Bottling Machines. This machine is used by a variety of branded entities offering in filling and packing mineral water bottles. Apart from mineral water, the machine can pack a number of other liquid such as milk, cream, paste and chemicals. This machine can produce 24 to 60 bottles per minute. We are Manufactured in accordance with the established quality norms & standards, the range is extensively demanded in diverse industrial applications for the qualitative packaging of mineral water bottles. In this range 60 BPM Bottle Filling Machine, Mineral Water Packing Machine, Mineral Water Bottle Packing Machine and Mineral Water Bottle Packing Machinery are few to name. Offered in varied specifications & configurations, the range is widely appreciated for rugged construction, low maintenance and excellent performance. 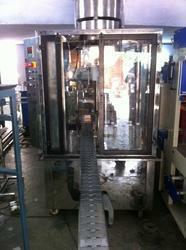 All Pack Engineers is the leading manufacturer for Continuous Bottle Filling Machine. we are habitual for making quality products for our clients. we are providing fast service and proper production training to buyer for best relation and satisfaction. We are considered as one of the leading manufacturer, exporter & supplier of Automatic Bottle Rinsing Filling Capping Machine. This machine is follow the process of complete product line starting from bottle rinsing (washing) to filling & in the end capping will be made on bottle. Rinser Filler Capper Machine, Mineral water bottling machine, juice bottling plant, washing filling capping machine. We design machine as per customer requirement. We are the manufacturer of Water Filling Machine. We are successfully ranked amongst the trustworthy organizations presenting a wide range of Drinking Water Bottle Filling Machine. 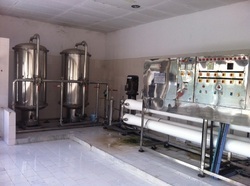 This machine is utilized for filling mineral water, juices, milk, and other beverages. 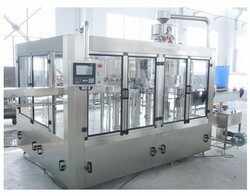 The capacity of the machine is 500 bottles to 5000 bottles per hour. The rapid speed of precise filling and sealing is incredible. The machine is obtainable in semi and fully automatic versions. Clients can prefer the best suitable option as per the business requirements. 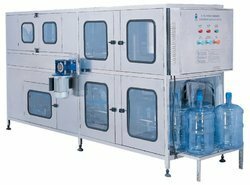 We are actively devoted towards manufacturing, distributing and supplying of a quality approved Bottle Filling Machine For Packaged Drinking Water. Our offered bottle filling machine is fully-automatic bottling line for juices, drinking waters, and liquids. 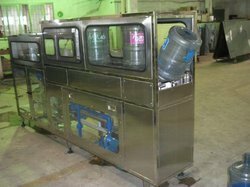 The provided bottle filling machine is accurate and high speed production machines to pack drinking water in pet bottles. In addition to this, provided bottle filling machine is widely appreciated in the market owing to its quality and flawlessness. Easy reach on / off switch for total control on operation. we are one of the manufacturer of Mineral Water Bottle Filling Machine. Mineral Water Bottle Filling Machines are rotary base machine for water bottle. Mineral Water Bottle Filling Machines speed is start form 17 bpm to 120 bpm. We are providing one year replacement warranty with our all packing machine. Easy to Install the machine. 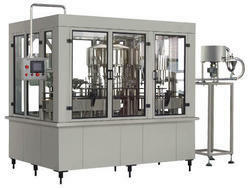 "ALL PACK" the manufacturers and exporters of 90 BPM Bottling Machine. we also manufacture various types of Bottle Filling Machines such as 24 BPM Bottle Filling Machine, 40 BPM Bottle Filling Machine, 60 BPM Bottle Filling Machine, 90 BPM Bottle Filling Machine. Our range of machine Mineral Water Bottle Filling Machines "24 BPM Bottle Filling Machine", "40 BPM Bottle Filling Machine", "60 BPM Bottle Filling Machine","90 BPM Bottle Filling Machine" "Automatic Filling Machine", "Liquid Filling Machines for Bottles","Bottle Filling Machines","Water Bottle Filling Machine","Rinser Filler Capper Machine for Water, Soft Drinks, Juices","Automatic 1 Ltr Bottle Filling Machine","Water Filling Machines","Bottle Rinsing Filling & Capping Machine"
We are a well-known organization that manufactures and supplies finest quality Pet Bottle Filling Machine. The range made available by us is used in the beverage filling operations. All these machines help in filling juices, mineral water and purified water in bottles made of PET plastics. In addition to this, the machine's handle can be freely and conveniently turned to adjust the machine to fill various types of bottles. Counted amongst the leading entities of this domain, we are affianced in offering Automatic Bottle Filling and Capping Machine. This machine is used for filling, washing, capping bottles and pouches and all types of non carbonated drinks such as still water, cold drinks, mineral water, flavored milk, spring water, and juices. The machine exclusively used for filling such as fruit juice into the pouches or bottles, then the containers are sealed and printed with specific codes by the machine itself. we offer Automatic Water Bottle Filling and Capping Machine for mineral water industries, we have a high speed and regular speed machine. Machine is available with 40 to 120 Bottles per minutes. Automatic Water Bottle Filling and Capping Machine is easy to install, operate and maintenance. Water Pouch Filling Machines offered comprise system designed to handle V bacteria killing, date printing and fixed quantity filling operations. Barrel Filling Machine offered provides for faster and stable filling operations. we are one of the top notch firm involved in offering Automatic Pet Bottle Washing Filling Capping Machinery as per the requirement of our customers across the nation. Automatic Pet Bottle Washing Filling Capping Machine is manufactured by using latest technology and modern equipment. 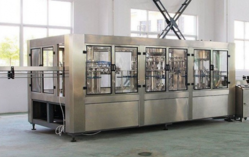 The machine does all the work of washing, filling and capping the bottle in very efficient manner. Besides this, the product offered by us is easily available in market at affordable rates. Drink Water Washing Filling Capping Machine offered comes designed to allow for low maintenance and operating costs. we offer ghee pouch packing machines. ghee pouch packing machines is very easy to operate. 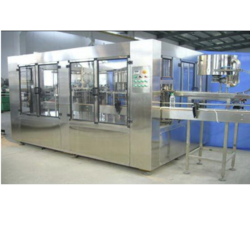 ghee pouch packing machines are use in diary industries for pack cream , ghee , milk , buttermilk etc. 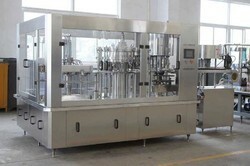 Fully Automatic Liquid Filling Machine. Packaged Drink Water Washing Filling Capping Machine offered comes designed to allow for low maintenance and operating costs. ALL Pack Engineers is the Leading Manufacturer for Drinking water projects in Ahmedabad. Pouch Length 4"-6", 2"-4", 6"-8"
ALL Pack Engineers is the Leading Manufacturer for Butter Milk Pouch Packing Machine.We offer buttermilk pouch packing machine. Buttermilk pouch packing machine is use in dairy industries. 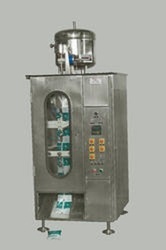 Buttermilk pouch packing machine speed is 1200 pouch per hour to 2000 pouch per hour. Buttermilk pouch packing machine use multilayer low density poly. We offer 200ml to 500ml buttermilk pouch packing machine & 500ml to 1 liter heavy duty buttermilk pouch packing machine. 2000B/H Washing Filling Capping Machine (3 - In-1) offered adopt advanced frequency control and PLC control based working. All Pack Engineers is the leading Manufacturer for Bottle filling and capping machine. Bottle Packaging Machines is used in filling the mineral water bottles, Juice filling and flavoured milk filling. we are providing this machine in various speed which starts from 24 Bottles per minute to 120 Bottles per minutes.In order to cater to the variegated requirements of the customers, we have been able to bring forth a highly efficient range of Bottle Packing Machine. Developed in accordance with the global quality standards, the range is incorporated with varied spare parts & quality components for improved efficiency. Manufactured under the strict watch of expert professionals, the range strictly complies with the international quality norms & standards. Allpack Engineers is leading manufacturer of Water Packing Machine like Ro Plant, Bottle filling machine, Pouch packing machine ETC.The machine is having round Tank with 12 head filling. The filling valves are specially designed to fill water from 250 ml to 2000 ml. The machine is provided with 12 head rinsing nozzle with twelve sets of catcher for holding bottle which also allows the bottle to get washed from inside. The machine is having 4 sets of special capper, with Capping Die to tighten the cap of your mentioned size. The machine is suitable for filling any type of liquid, which has free flow density. As this machine is complete mechanical operated no compressor is required. The machine is also provided with cap feeder, which has a capacity of approx 2500 – 2800 caps. The machine is provided with 10 feet Infeed Air Conveyor and 15 feet Outfeed motorized Conveyor for unloading the filled bottle with Inspection Board and shrinking machine in line. The machine is provided with Variable Speed Controller. Automatic Jar Washing Filling Capping Machine is widely use in packaged drinking water industries. With an outstanding hold of our brilliant professionals, we are occupied in offering a wide range of Automatic Water Bottle Rinsing, Filling, Capping Machine to our clients. 250 ml to 2000 ml water is treated, filled, sealed or capped with the capacity of at least 24 units per min is remarkable. The project report of the machine has come up from some of the clients to us with huge surprises. Clients not only have established the ground-breaking solution of production line, but also have customary the incredible specifications and hold up provided with the offered machine.